When I told my parents I was going to travel to Cairo alone, I’m pretty sure they heard ‘SYRIA, IRAQ, TERRORISM, BOMBS,’ since this is how most Europeans visualize the Middle East once the subject comes up. 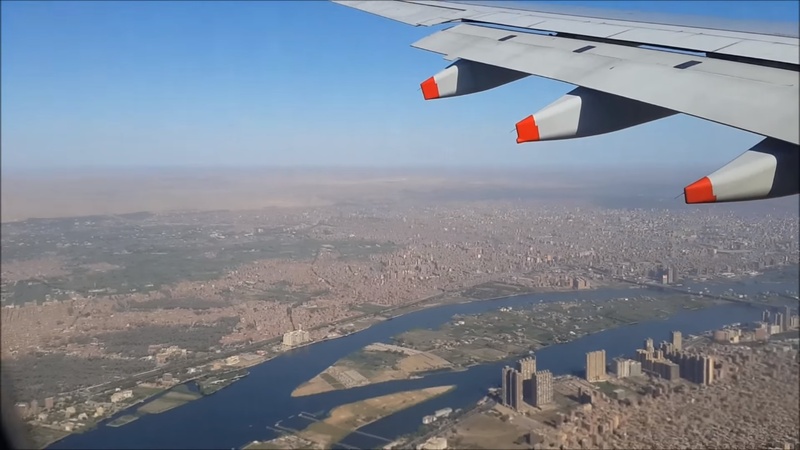 With the recent terrorist attacks in Paris and the Russian airplane crash in Sinai before that, Europeans’ idea of visiting the Middle East doesn’t look like it’s changing anytime soon – and that’s a shame, for I spent the most wonderful time in Cairo. Cairo, with all its imperfections, is such a beautiful, intense mess. Overall, it did not manage to make me feel unsafe; however, it did sometimes make me uncomfortable. 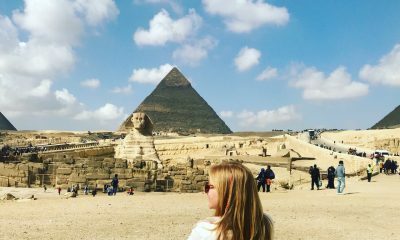 But for what it’s worth, here’s how my week in Cairo unfolded as a blonde, Western female tourist. 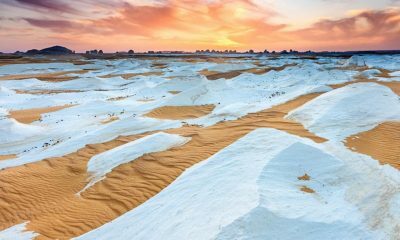 I was born and raised in the Netherlands, which is probably one of those places on earth that are the complete opposite of the most chaotic city in Egypt. Around here, we have lines to guide you through traffic. We have traffic lights, seat belts that you actually need to wear and it is definitely forbidden to carry a whole family on one scooter without helmets on a highway. I could go on a little longer about this traffic thing – it kept me fascinated my whole stay. In short, most big Dutch cities are calm and well-ordered. We have rules. Egypt has them as well but implements them sporadically and harshly when it’s convenient. 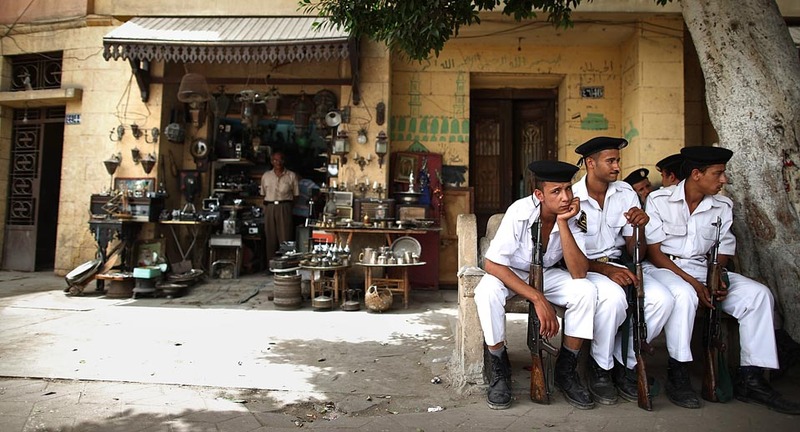 More culturally fixed, the Egyptian way of life is much more nonchalant than most Dutch people’s life. There’s no hurry, there is always time for a friendly conversation on the streets (and food) and strangers are always ready to help you out when you’re lost. However, that wasn’t the first thing I noticed when when I landed in Cairo. That must have been the visibility of the police state. This might sound weird to Egyptians or anyone else living in such a state, but instead of giving me a sense of safety, the presence of military everywhere only confronted me with the potential safety risks. As someone who had only seen rifles in bad action movies with Nicolas Cage, seeing military servicemen with guns on most corners of touristic areas and government buildings was something I had to get used to. It took a few days before I didn’t get sweaty palms anymore when seeing weapons. When visiting the pyramids with a guide and some fellow tourists, we got into trouble apparently being somewhere we were not supposed to be. Within ten minutes, there were three people and a guy with a rifle surrounding us, wanting to check our cameras. They deleted some pictures without a clear explanation what could and couldn’t be photographed. 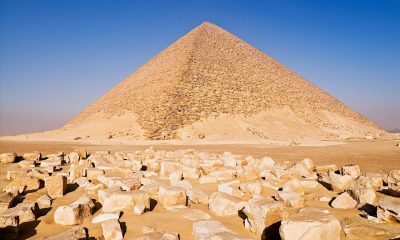 This is what I meant with the lack of clear rules in Egypt: There are rules but, as a tourist, it is quite impossible to know which ones are being strictly followed and which ones are being completely ignored. I am willing to respect the rules of the country I am in, even when they collide with my personal views, but in order to do that, it would be kind of nice to know what exactly those rules are. Also, though I understand the security measures, especially given the current situation, I think the Egyptian government underestimates how intimidating it can be for tourists when armed men come up to them. If there’s one more thing my parents knew about Egypt, it was that Egypt has a major problem with sexually harassing women in public spaces – since I wrote some articles on this matter and they always read my articles a million times. To be honest, when leaving for Cairo, terrorism really wasn’t my main concern. My main concern was going out on the streets as a blonde woman. Perhaps the research I did on sexual harassment on Tahrir Square during the revolution as a journalist and watching many videos and following up with the victims for nights in a row were the main causes of this fear. It didn’t give a nuanced overview of the actual situation. Yes, I did get catcalled by many men on the streets – at least, I assume it was catcalling, since I don’t speak Arabic. 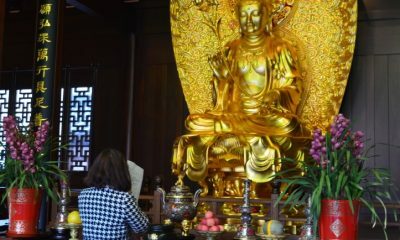 I was looked at very angrily and it did intimidate me, and men would follow me around. But since I never went out by myself, I didn’t once get into a situation where I felt like my safety was actually in danger. One thing I realised when talking to two female friends about this matter is that sexual harassment is a problem women face worldwide. Even though the statistics in Egypt are much, much worse than in Europe, my Egyptian friends make the exact same considerations when going out alone in Cairo as I do in the Netherlands. Their parents have told them the same things – do not go out alone at night, make sure you don’t wear provocative clothes, make sure someone knows where you are – as my parents told me. 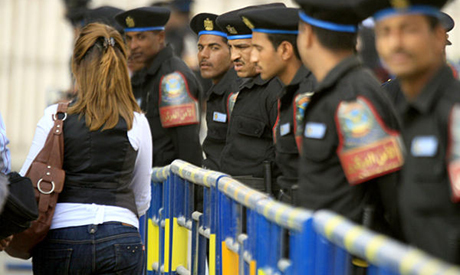 Avoiding Cairo because of sexual harassment seems senseless, because it’s a worldwide curse of being a woman. I did take measures to ensure my safety as a woman in Cairo, and even though I was more aware of the risks, I realised I already took those measures out of habit at home. While I expected to get catcalled and intimidated on the streets, one thing I wasn’t prepared for was people lining up to take pictures with me because of my white skin and blonde hair. This is the thing that made me the most uncomfortable being a Western tourist in Cairo. When walking in the Egyptian Museum, it turned out I was the main attraction. I had schoolgirls following me around, whispering and laughing about me, and it reminded me of the mean girl high school years. There were also women who would just put their children in my arms and take a picture before I could even protest, or grown men taking pictures of me when I would be walking down the street without my permission. However, it would be a shame to end this piece like that. 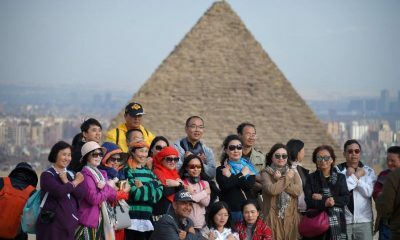 Most Egyptians have been so welcoming and showed the kind of hospitality I hadn’t come across yet. Being the complete opposite of what I’ve known, there is chaos and inside that chaos, there is order. Order of people honking messages to each other in traffic and random school children telling you ‘Welcome in Egypt.’ Order of Egyptians insisting you don’t need to pay for the tea you just drank, and then when you finally say ‘okay,’ they’ll name the price. 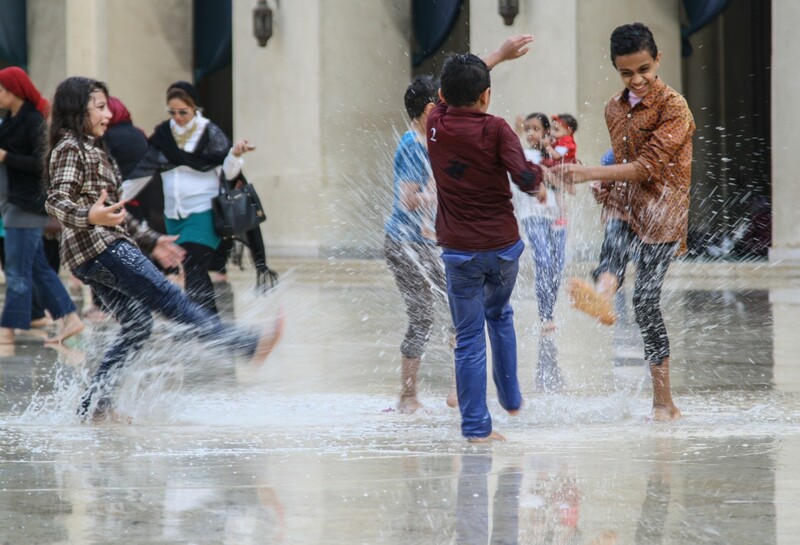 Order of laughing children playing in the rare rain inside the courtyard of the mosque, getting soaking wet, and no one minding. If you have doubts about visiting Cairo because of any of the matters that almost kept me from going there by myself, I highly recommend you to just go. The one advice I would give you would be to make sure you have at least one Arabic-speaking local to guide you through the often unclear Egyptian rules, to advise you on what places you should avoid and to call when you’re in a cab, lost and unable to explain your destination in sign language to the non-English-speaking cab-driver. 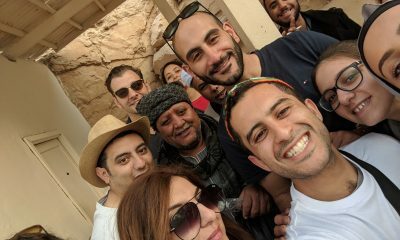 I was very lucky to have the most amazing people – the team of the website you’re reading this on right now – to let me experience the beauty of Cairo in the most amazing way. See you soon, Egypt. Photography Finally Allowed at the Egyptian Museum in Cairo...But Hurry!